Once again from SuperPhillip Central, Merry Christmas and Happy Holidays! This is a season of giving, so I'm going to give some more to you guys and gals, my readers! 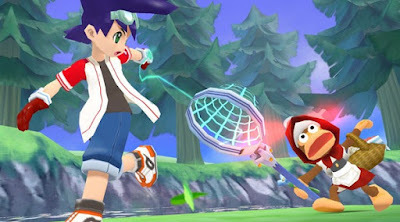 It's a retro review of Ape Escape 3, a PlayStation 2 game from 2006. Next month, the game will have its tenth birthday here in North America. Seems like a good reason as any to take a look at this title, then! I came to the Ape Escape series quite late, with my first entry being the PSP port of the original Ape Escape. Since playing that game and very much enjoying it, I quickly attempted to seek out the other installments of this underrated Sony gaming series. 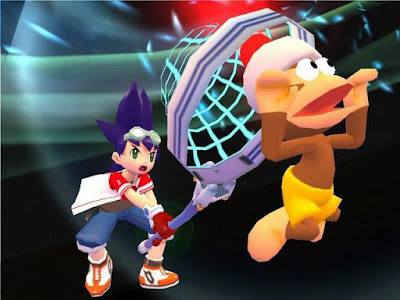 Now, I have reached Ape Escape 3, and with it celebrating its ten-year anniversary in North America next month, there is no better time to get funky with these monkeys. 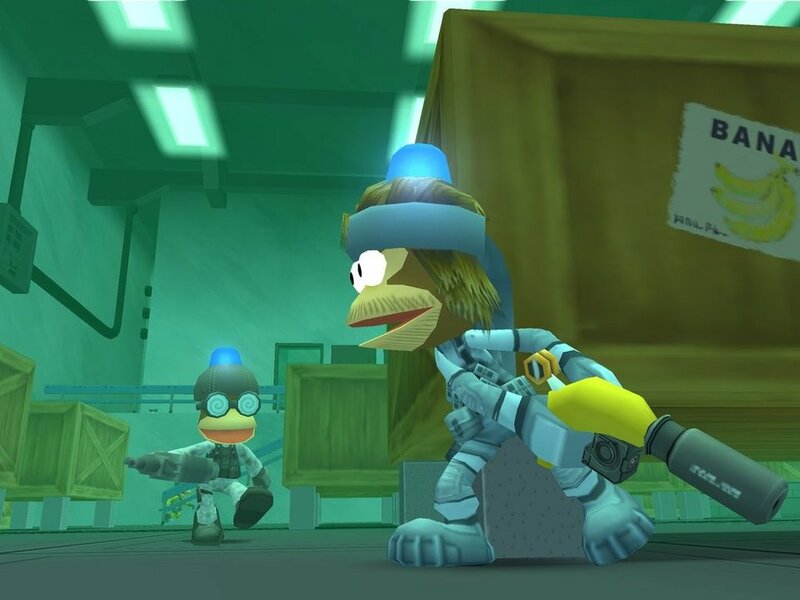 The basic premise of Ape Escape 3 has the main villain of the series and highly intelligent monkey, Specter, coming up with a new plan to try to take over the world. This time his monkey cohorts have created a series of television stations to put their viewers into a drooling daze. 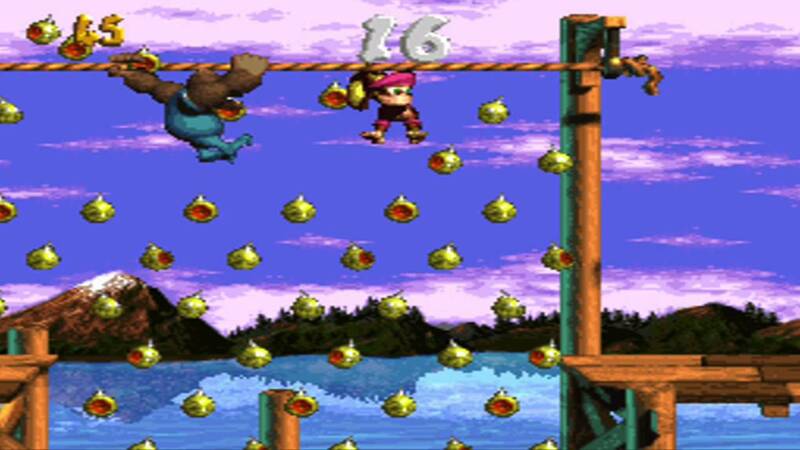 Thankfully, not every human is under Specter's television station spell, and heroes Kei and Yumi (you're able to choose between which character you want to play as at the beginning of the game) set out to take down each of Specter's television stations broadcasting monkey mayhem. With each station under watch by a member of the Freaky Monkey Five, the adventure is going to be no cakewalk. 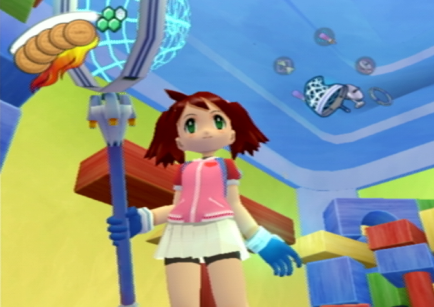 Ape Escape 3 utilizes full motion video cutscenes, using more intricate character models than what is seen in-game. The movie direction is competent enough, and the voice acting is suitably cheesy, as is the dialogue. This is a very kid-friendly game, from its story to its gameplay. 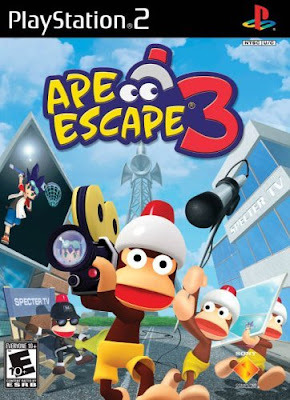 As for the gameplay, Ape Escape 3 follows the same structure of past Ape Escape games. You enter a level with a set of tools that increases as you progress through the game. The goal is to capture a set number of monkeys strewn about more and more complicated levels. At first you'll enter smaller, more linear levels, but by the end of the game, you'll be traveling through multi-room, multi-level, and hidden area-filled, expansive levels. If you're looking for a heavy challenge, Dark Souls this ain't. Yikes! Mad monkey on the loose! Controlling your character of choice feels good for the most part, but there is a learning curve to be had. You don't jump with a face button-- instead, you utilize either the R1 or R2 shoulder buttons. 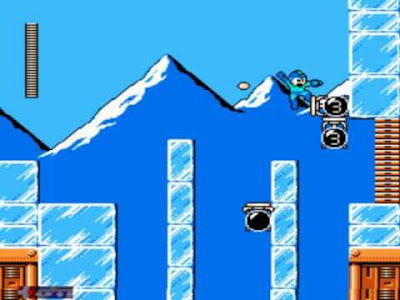 Both characters have the ability to double jump, though there is a moment after initializing a jump where you can no longer do a double jump. This gave me a few aggravations, as I was thinking I'd have enough clearance to leap over a chasm, only to not have a double jump register because I hit the jump button for the second time a split second too late. Furthermore, anything concerning vehicles like tanks, robots, and boats controls horribly. The decision to utilize a dual analog control scheme and only a dual analog control scheme for vehicles was not the smartest idea by the developers. While these sections in Ape Escape 3 didn't cause me to curse in frustration due to cheap hits or deaths, they made for moments where I was just befuddled by the fussy and complicated controls. You might regret doing this, Kei. Every tool used in Ape Escape 3 is done so with the right analog stick. Swiping the stick in a given direction uses the tool in the same direction. This takes some getting used to, especially with the net. Having a monkey on your right side means you should try to flick the analog stick to the right as well in hopes of catching your banana-munching prey. You start off with a modest amount of tools available to you. Just a stun club and a net to capture monkeys. However, as you play on through Ape Escape 3, you gain more equipment to help out in tracking down monkeys. You're even able to return to past levels to reach areas that you were previously unable to because of a lack of a given tool. The amount of tools is lesser than past Ape Escape games, but what you do get is helpful nonetheless. No worries. I'm not going to say "I told you so." 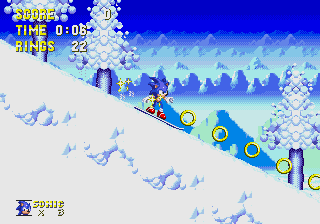 There are advantageous tools like a radar that hones in on general locations of hiding monkeys, a ring that when the right analog stick is rotated makes for a speedy way to get around levels as well as a means to take down foes, a slingshot to hit faraway panels and to knock down monkeys from high places, and there is also an RC car, great for getting into small alcoves that either character isn't able to fit inside. One really cool example of how the RC car is implemented has you controlling the car with the right analog stick through a countryside diorama. You can easily see what's going on as the action all plays out under the glass floor your character is standing on. As you make progress with your RC car along a curvy road, your character needs to press and hold down switches to change the direction of the bridges, allowing the RC car to cross them. The whole affair leads to the RC car scaring a monkey from its hiding spot, allowing you to attempt to catch it. It's not just the RC car that sees action in Ape Escape 3. Each tool in the game is put to good use, and you're never just relying on one or two tools throughout the game. Each one has a benefit to using it, and even though you can only have a tool assigned to each face button, changing tools is a breeze. There is no real burden to be found when you have to switch between a tool that is assigned to a face button and one that is not. Nothing like a stun club to the face to ruin this monkey groom's wedding. 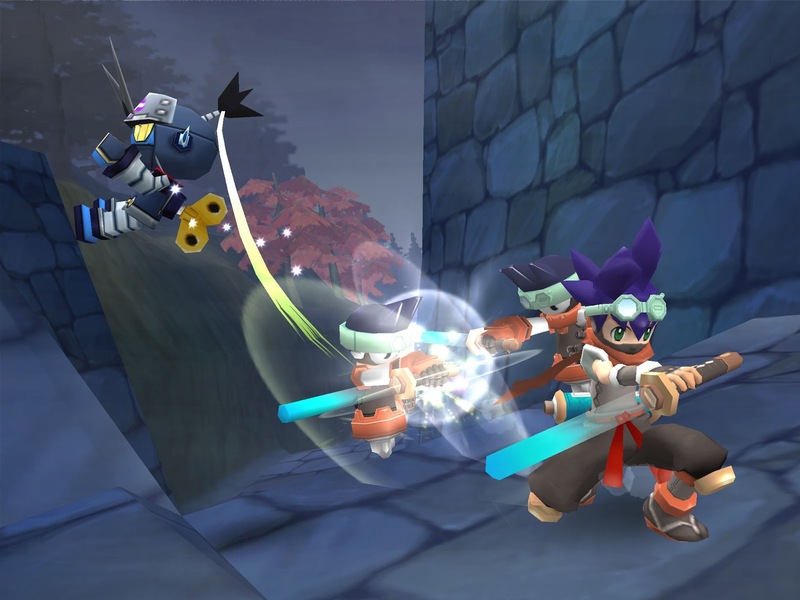 Despite the smaller than usual amount of tools used in Ape Escape 3, there is a new set of abilities that allow you to morph into various forms for a limited amount of time. From a shield-wielding knight that can push through fire like it was the wind to a otaku-styled superhero that can dash through the air, the morph abilities are very cool, offering an easier way of catching monkeys. The "catch" here is that you have up to thirty seconds in a gauge to use. Through obtaining green batches of energy, you can add seconds to the gauge. However, thirty seconds is always the max the gauge can be at. One of seven different morph forms Kei or Yumi can take. With all of these tools and morph abilities to utilize in Ape Escape 3, the means of finding, coaxing out, and finally catching the monkeys that horseplay around the game's levels are highly varied. Some require you to search high and low in hidden alcoves and rooms for monkeys, while others require multiple steps. Then there are some that are just plain old right out in the open. Don't think they'll just surrender without a fight (or a run in most cases). With over 400 monkeys to ascertain their whereabouts and nab them with your net, you're going to be in this for the long haul. It's just great that the game is one that is a lot of fun to play that you won't mind sinking tons of hours into it. This girl means serious business when there are monkeys to catch. 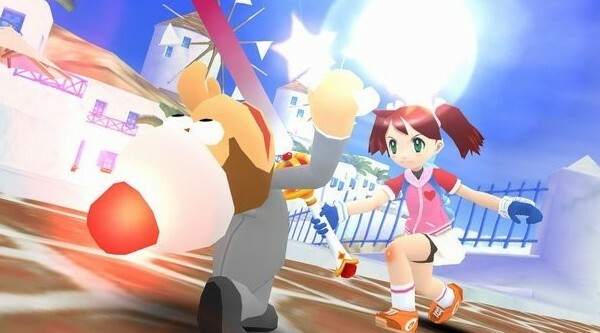 If you haven't guessed, then, there is A LOT to do in Ape Escape 3. So much so that when you initially beat the game, you're only at around 50% completion. Through beating all of the Freaky Monkey Five twice and capturing every monkey in the game, you finally get to have the second go-round with Specter, the true final boss of the game. Even after he's defeated and captured, there are still time attacks to do. 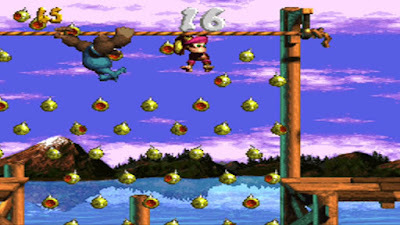 These have you try to speed through a level, capturing the specific number of monkeys as fast as possible in order to receive a bronze, silver, or gold trophy. 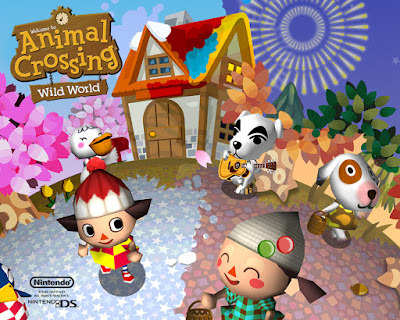 Throw in tons of items and collectibles like music, videos, and even a Metal Gear Solid monkey-centric mini-game made by the developers of the series themselves, and you have plenty to monkey around with. if this monkey starts gobbling up those bananas. Ape Escape 3 turned out to be an engaging game from beginning to 100% completion. It offered me about 10 hours of solid enjoyment, no filler, mostly nonlinear levels to indulge in and explore, and a really wacky sense of humor to coat the entire package. 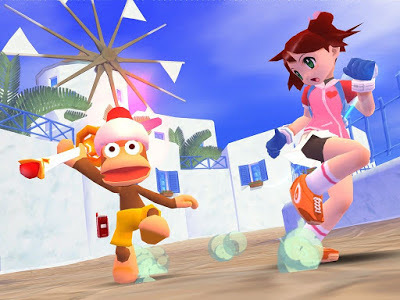 While the controls and sometimes problematic camera make for occasional headaches, there is no denying that for me, Ape Escape 3 was more fun than a barrel of monkeys. Announcing the SuperPhillip Central Best of 2015 Awards! SuperPhillip Central's year end celebration of the year that was returns for its eighth showing! This year I'll be doing it similarly to last year, having a series of top five lists based on various categories like Top Five Box Arts, Top Five Most Overlooked Games, Top Five Platformers, and more! 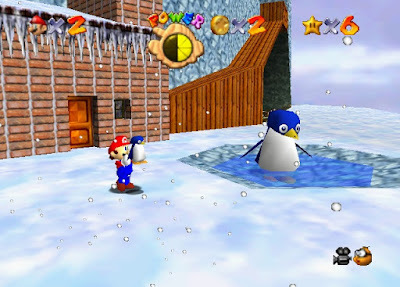 This all leads up to January 1st, where I will be listing my top ten favorite games of 2015! You'll find this list is very Nintendo-focused due to the types of platforms I currently own. Regardless, this time of year is always fun for me, and I hope it's an enjoyable one for you to gaze at the various lists being produced! As we approach Christmas, SuperPhillip Central is filling your stocking with a bunch of new reviews! Last night we took a look at the lightning quick FAST Racing Neo. 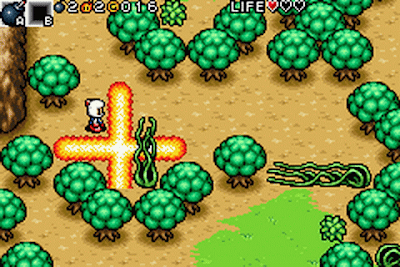 Today, it seems this month of Game Boy Advance retro reviews continues with a fallen gaming icon, Bomberman. Here's my review of the retro wonder, Bomberman Tournament. It's a common saying and sentiment that you don't know what you've got until it's gone. That's no truer than with Hudson Soft and its Bomberman franchise. Many of us certainly took for granted the series and how it might not always be there for us to enjoy. I mean, the series saw regular releases on a variety of platforms, often with more than one game on a given console or handheld. Now, Konami owns Bomberman, and the publisher has not done much to bring the White Bomber back into the gaming sphere. Thus, the only recourse is to play past Bomberman games, and that's exactly why I took my Game Boy Advance out of storage and played the very first Bomberman game to hit the system, Bomberman Tournament. 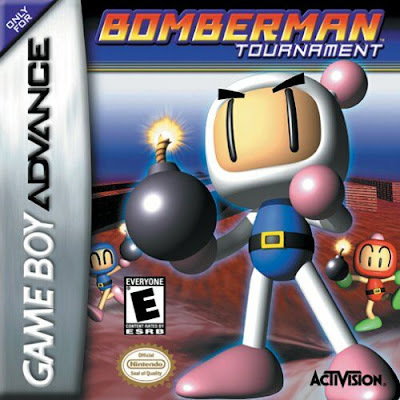 Not just offering the traditional bomb-and-get-blasted multiplayer mayhem the series is well known for, but also a single player quest mode, Bomberman Tournament delivers explosive action in portable form. The main attraction to Bomberman games is the multiplayer mode, and it is present and accounted for in Bomberman Tournament. If you possess a series of link cables, you can link up to four Game Boy Advances together to play Bomberman Tournament's bounty of multiplayer goodness. With eight arenas to choose from, you can bomb one another in an arena infested with killer landmines, an arena set on the moon containing portals that warp players across the map, or take one another out in a standard arena with no frills. You can play with just one cartridge between all players, but it's recommended that everyone involved in your bombing bonanza has a cartridge because of the otherwise nasty load times. This moon map is full of portals to warp players around its reaches. 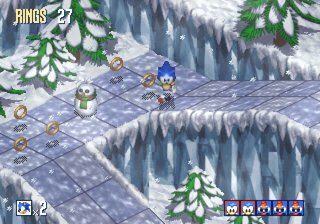 For those who don't know of the entertainment that the multiplayer of the Bomberman series delivers, it's all in how simple it is. You have four combatants on opposite corners of a small arena. 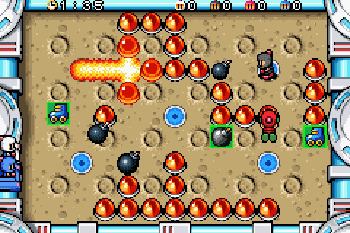 Through planting bombs and destroying objects, you gain power-ups like being able to set more than one bomb at a time, extra firepower, or the ability to kick or throw bombs. The goal of a multiplayer match is to trap your opponent so they have no choice but to be obliterated by the blast radius of a given bomb. The last player standing wins the round. Of course, if you lack multiple friends who own Game Boy Advances and link cables, you can always play Battle Mode with computer opponents, selecting one of three difficulty levels for them. The choices don't end there with rounds either, offering the ability to choose how long each round is, if there is a tiebreak rule involved, whether bombed players can seek revenge on living ones, and much more. If the Battle Mode doesn't appeal to you as a solo player, you can always try out the Quest Mode, a single player excursion lasting about a dozen hours or so. 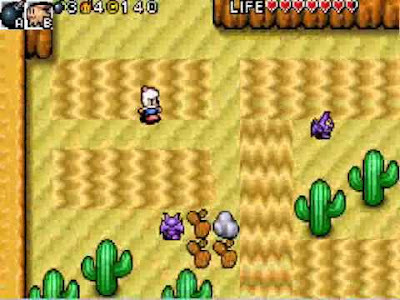 What you get is a nice combination of Legend of Zelda field, dungeon, and town exploration, as well as some Pokemon-inspired monster collecting and battling. Occasionally, Bomberman enjoys the country life. The story is as follows: Bomberman is sent to planet Phantarion with information that it is under attack by the nefarious Brain Bomber. Along the way he'll encounter enemies both large and small, friendly faces, new power-ups to claim, dungeons rife with peril and puzzles, and multiple bosses to defeat. Quest Mode's real drawback is something that is mitigated after the first couple of hours. You see, at the beginning of the mode, you have but three hearts to work with and an unimpressive number of bombs and firepower. This makes dying very easy, and since there is no auto-save feature in Bomberman Tournament, if you aren't saving every couple of minutes, you can lose a lot of progress. This is because losing all your health results in a game over, forcing you to restart from the last point you saved at. Furthermore, enemies move around a lot. When you have just one bomb you can place on the map at a given time with such a low blast radius, it can be hard to take them out quickly. 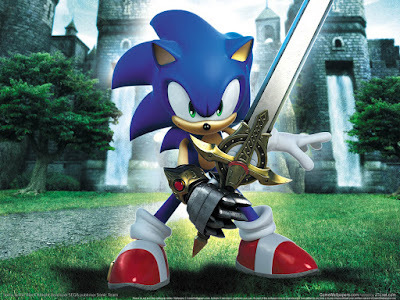 In fact, it can be maddening trying to defeat the simplest of foes at the beginning of the game. Taking care of weeds can be a menial job, but someone's got to do it. Still, Quest Mode is an engaging experience. 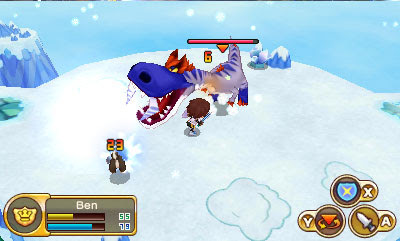 You get items and ability-granting karabon monsters to make progress on planet Phantarion. The latter not only allows you to do things like dive underwater, cross small gaps, and see in the dark, but karabons can also be used in battle. 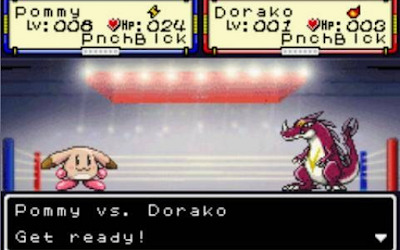 While these battles are nowhere near as deep as what you'd find in Pokemon (you select a karabon and three attack strategies before the battle even begins, and luck needs to be on your side), they are an enjoyable part of the Bomberman Tournament experience. Collecting all 25 is a fun task, as not all of the karabons are necessary to beat the game. 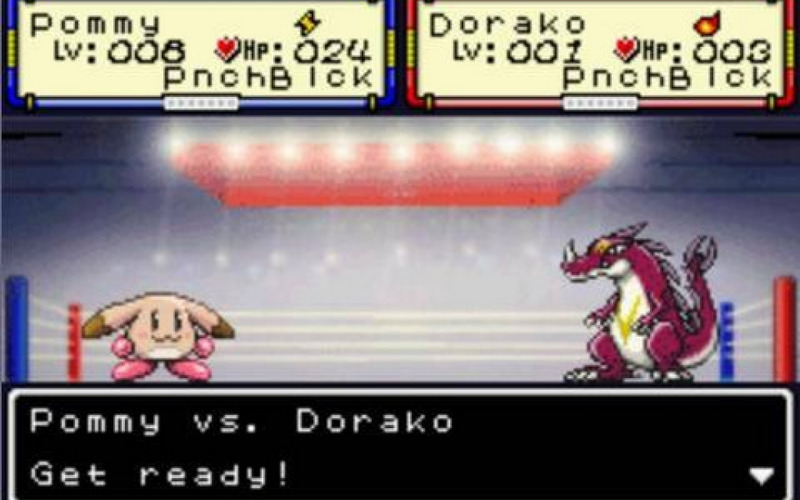 The main event: Pommy versus Dorako! Let's get ready to RUMMMBBLLE! When you're not traveling around the fields of Bomberman Tournament's Quest Mode, you'll be entering one of many puzzle-filled dungeons. These feel very much like The Legend of Zelda, complete with one screen-wide rooms, simple puzzles to solve such as hitting or bombing buttons to open locked doors, acquiring maps, finding treasure, and beating the boss at the end of the dungeon to acquire a heart to add to Bomberman's health. Bomberman Tournament is a vibrant game with impressive character sprites and pleasant looking environments and objects. 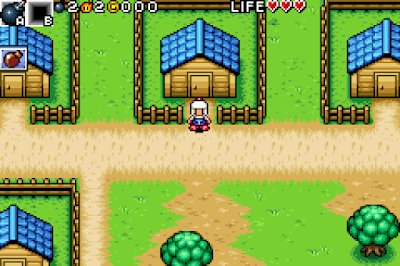 The amount of detail in the sprites is quite good, delivering a nice game to the eyes. The music is generally bright and cheery when you'd expect it to be, and suitably foreboding for boss fights and dungeons. What you have with Bomberman Tournament is a pleasing presentation package that does the Game Boy Advance hardware well. Bomberman Tournament is a pleasure to look at as it's easy on the eyes. If you're looking for a lesser-known Bomberman game that released close to the Game Boy Advance's launch, then Bomberman Tournament is a good pick. While the Quest Mode is slow to start off before things pick up, it's well worth trying out. The multiplayer mode is as big of a blast as any other in a Bomberman game. 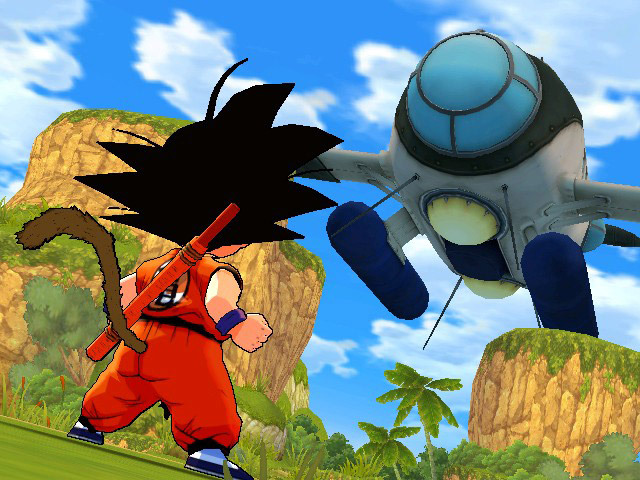 While Bomberman Tournament won't blow your mind, this game is certainly no dud. Christmas is this Friday, and if you're looking for a gift for yourself (and you own a Wii U), why not treat yourself to the gift of gaming? In particular, how about a blazing fast racer with plenty of challenge to it? Then, you'll want to look into FAST Racing Neo for the Wii U eShop. Here's my review. If speed is your thing, then go FAST. If you're going to release a futuristic racer on a Nintendo system, then you probably already know that you're going to be compared to Nintendo's own F-Zero franchise. There is just no getting around that. 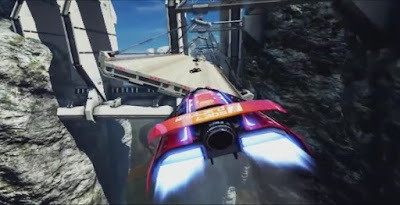 While Shin'en Multimedia's FAST Racing Neo does have similarities to Nintendo's fantastic futuristic racing franchise, it does enough to distinguish itself from the competition, letting itself be favorably compared to F-Zero in the process. FAST Racing Neo has multiple modes to keep players racing for a long time, far more than you'd expect for the $15 price tag. 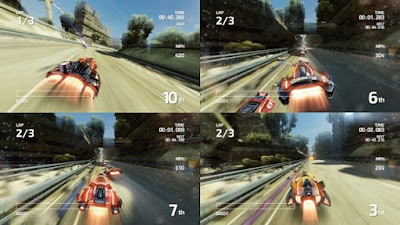 The main mode, Championship, pits players in four different cups consisting of four different circuits. When one cup has been completed, the next one unlocks. When all four cups are finished off, the next difficulty opens up, giving a major increase of speed in comparison. Completing cups not only unlocks new races, but it also unlocks one of ten vehicles with its own set of stats in acceleration and top speed, as well as weight type. Papa's got a brand-new bag with this new, unlocked vehicle. Alongside Championship Mode are time trials to beat the developer's times on all sixteen circuits in all three speed classes, as well as a Hero Mode that is more akin to F-Zero, where you have a set amount of health and crashing means failure. Local multiplayer for up to four players is available, as is online play for up to eight players, allowing friends to join one another's games or just play against randoms. or hop online and race against the world. 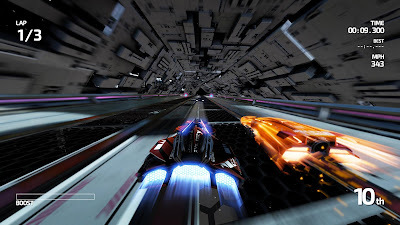 If you're looking for a difficult game, you'll find one with FAST Racing Neo. Making a mistake while racing usually has you ending up crashing. However, unlike an F-Zero game, you don't lose a life. Instead, you're put back on the track with precious seconds lost. This is both a blessing and a curse. It's a blessing because there are plenty of obstacles and methods to crash and burn, which would otherwise end a race. However, it's also a curse because you can race perfectly for the first two laps, only to crash at the final lap. This will most likely result in you coming in a low finishing place, something that can completely cost you a cup. Seeing as cups take around ten minutes to finish, losing the cup because of one unfortunate mistake can be a real pain. Two rivals jockey for position in this space station-themed track. That said, practice makes perfect. Crashing is something that will happen a lot to racers on their first go-around on FAST Racing Neo's sixteen tracks. Whether it's because you fall off the track, crash into a wall, or slam into an obstacle like the rotating blade of a fan or smash into a hole spewing fire, you will watch your piloted vehicle burst into flames and get obliterated on multiple occasions. Thus, on higher speeds you'll need to learn the tracks themselves instead of just reacting to curves, turns, and obstacles when you see them. Initiating a turn long before you hit it is recommended in later speeds and difficulties. made these upcoming strips of track swing from side to side. FAST Racing Neo separates itself further from F-Zero in its gameplay and how machines handle. Each vehicle has two phases to it, an orange and a blue. Through passing over stretches of colored panels on each track while the same phase, you get an increase in speed. For straightaways and sections without colored portions of track, you can collect shining orbs that add energy to your boost gauge. With a press of the R button you can then power through straightaways and break through certain environmental objects that would otherwise slow you down. your orange phase with a press of a button to take advantage. 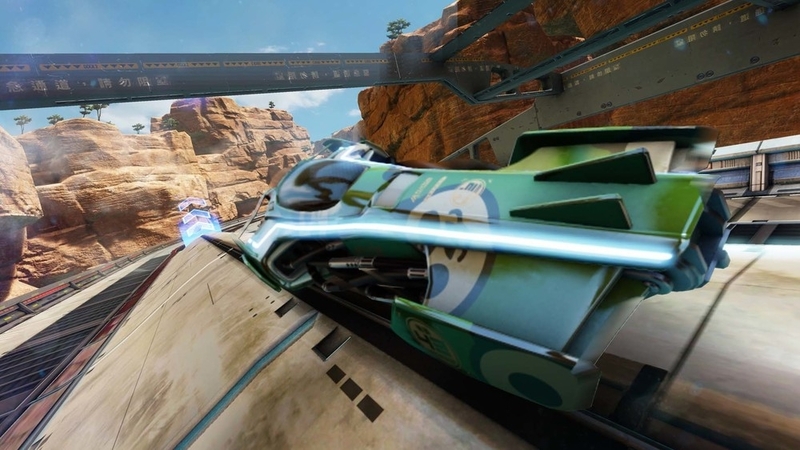 It is mind-blowing the technical prowess that the small team at Shin'en has with its games, and this is no better shown than with FAST Racing Neo. The game is simply gorgeous, offering a blisteringly fast package, highly detailed tracks, and glorious visual effects like water running down along the screen when you drive through a waterfall. My only real gripe with the presentation of FAST is how lacking the game's personality feels. There isn't much character to the game outside of some token track environments. The vehicles and track names don't do much to mitigate this. but it's absolutely stunning in motion. 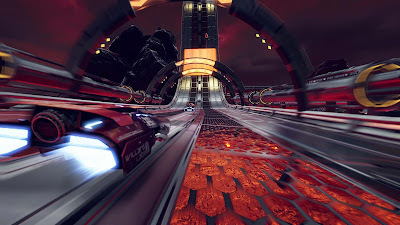 A hole that was missing in the Wii U lineup has been filled with Shin'en's answer to F-Zero, FAST Racing Neo. 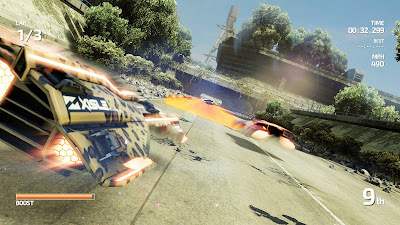 While its game doesn't have the same amount of character or personality compared to Nintendo's hallmark futuristic racer, FAST Racing Neo does deliver plenty of skillful, turbo-charged, lightning fast, challenging, and magnificent racing action. For $15, FAST Racing Neo is more than worth it for anyone hankering for a deviously difficult but fair futuristic racer.